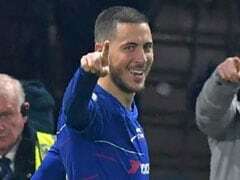 Hazard scored his second goal of the season in Saturday's 2-0 win over Bournemouth as Chelsea made four successive Premier League victories with Sarri in charge. Eden Hazard admits he is enjoying playing for new Chelsea boss Maurizio Sarri, but the Belgium star remains coy over his future plans. 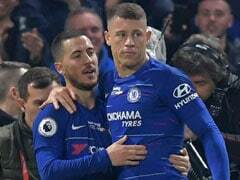 Hazard scored his second goal of the season in Saturday's 2-0 win over Bournemouth as Chelsea made four successive Premier League victories with Sarri in charge. 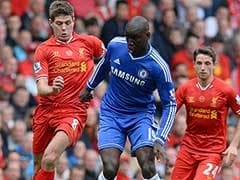 The 27-year-old was repeatedly linked with Real Madrid in the close-season and hinted he was keen to leave Stamford Bridge. 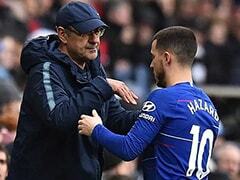 But Chelsea refused to sell the forward and Hazard, now in his seventh season at Stamford Bridge, is enjoying Sarri's style of play after the more conservative tactics of former Blues bosses. "I like to have the ball. Not in my own half, but in the last 30 metres," Hazard told Chelsea TV. "I like this type of game. It's completely different than Antonio Conte or (Jose) Mourinho before. "We have more ball so for me it's not bad." Hazard's contract expires in 2020 and the offer of an extension has not been taken up so far by the Belgian. 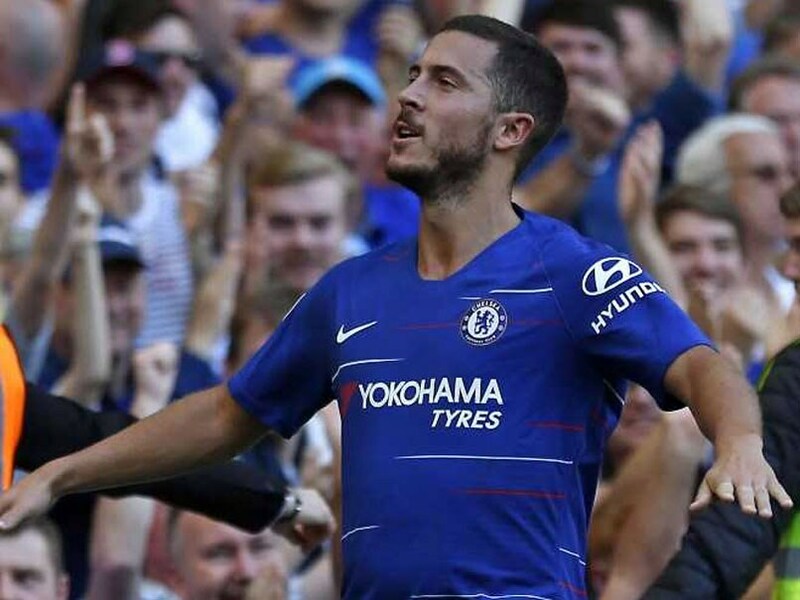 Hazard was a substitute in Chelsea's first two matches of the season, but was instrumental in the win over Arsenal and then started and scored against Newcastle and the Cherries. Hazard had expressed frustration at his slow introduction to Sarri's team after the Arsenal match. Asked how he is feeling now, Hazard said: "Good. You can see on the pitch. Let's see the future." "The big difference is we bring two players - Jorginho and (Mateo) Kovacic - and they are completely different," he said. "We just try to keep the ball more often and then when we have a chance to score, we need to score. "But when we have more ball we can be more dangerous. "We're playing good football, so we enjoy. I want to keep this momentum."